Anyone who has studied the New Testament knows that possibly the greatest offense that the Jewish leaders had against Christ was that he did not respect their traditions. Jews at that time put the traditions of the synagogue and their leaders as equal to, if not more important than, the scriptures themselves. In the same way the Catholic church has placed its traditions on "equally authoritative" with scriptures as declared by its council of Trent. Interestingly there are many Catholic traditions which most reasonable persons would understand as opposed to the love of Christ and even common sense. For example many councils, starting with the council of Elvira (305AD) forbid Christians sharing meals with Jews! I guess the Jews had become the new tax collectors! Not only did this council create this tradition but many councils afterwards maintained the tradition . What is a tradition if not that which is repeatedly maintained by church councils? The question therefore is if Catholic tradition is said to be equal with scripture, just like Rabbinic Tradition was, and if Jesus rejected Rabbinic Tradition because 'it broke the command of God' just like forbidding Christians to eat a meal with a Jew does, what is the difference between Roman Catholic Tradition and Rabbinic Tradition, in terms of its spirit? I ask the question because I have encountered many accusations from both Protestants and Catholics where clearly they are both guilty of great sins. For example burning bible translations they do not like, burning heretics, etc. The difference however is that Protestants can repent of these sins and say, 'yes those people sinned terribly,' but Catholics seems trapped because it is part of their tradition approved by its councils that could not be wrong but were infallible and equal to scripture. All of this seems to be indefensible and only plain rebuke of its hypocrisy would be Christlike. Therefore this one example of banning a simple meal with a Jew, how is this tradition of church councils equal with scripture? Maybe I am confused and maybe there is a way to say tradition is equal with scripture and still somehow repent of one's own tradition? Someone please explain this seeming unexplainable thing. the reasoning behind restricting communion for Christians who broke bread with Jews was to keep them apart so they wouldn't draw together and bring in to action Canon 16. Intermarriage, has been traditionally prohibited by the Catholic Church and always requires some sort of dispensation. If, at the time, eating together could serve no purpose other than to weaken the faith of the Christian it has no bearing in relation to Rabbinic Tradition. To denounce it would be like a Pope denouncing the Inquisition for being a bad policy for the protection of Christendom in Spain against the Moors. When Pope John Paul II did apologize I think it it was for the particular acts of evil committed in the name of the Church, not the policy promulgated by the Bishops. There's nothing in there about not eating with sinners and nothing in there that says Jews are sinners with whom one should not eat. It says, do not eat with Jews. I'm not gonna defend it, I'm not going to abide by it, but I'm not going to say that it may not have been a good idea at the time. Although Spain, according to secular history, has always been a succession of bad ideas, if not cruel and inhumane ones. Beyond all this, the banning of a simple meal, never could have taken place. Church laws are mostly self-accusatory unless they bring scandal. So, a large meal, with Disobedient Christians and Jews, would bring scandal, but a small meal, wherein a Christian family shared a bit of cheese with a Jewish one or vice versa, would not bring scandal. Likewise a Christian probably would not be allowed to partake in big meals on Jewish feast days. But, for the most part, a Catholic still isn't allowed to fully partake in big meals on Jewish feast days. Because of scruples from both religions. It's not a sin to believe what you believe to the absolute exclusion of all else, especially when what you believe is what you have come to know is the truth. Where there is truth in other sects, the Catholic can participate, but when a practice ardently excludes Jesus implicitly like in Judaism or explicitly like in Islam one must guard ones self against what can only be describe as Jesus-less worship. You just cannot be Christian and drop in to Jesus-free mode because it suits your tastebuds. A Council is something which is binding over the entire Church and its rulings on theology can never be ignored unless the Council specifically says otherwise (such as in the case of certain documents of Vatican II). A synod is a local gathering of bishops which is temporarily binding over a specific region or set of regions. Any theological conclusion may be set aside, even by one of the bishops who originally agreed to the conclusions. There have been quite a few synods which have promulgated doctrines which have been quite dubious. Normative rulings of the Church are not subject to infallibility unless they deal with the matter of the sacraments (for example, the decree that you must use water for baptism cannot be rescinded). The council of Elvira was really a small Synod that dealt solely with norms. As such, its rulings cannot currently be considered any more significant than the ramblings of defrocked and excommunicated bishop Milingo. There is mention of Jews practicing usury (something which could incur excommunication to the Christian). The Council condemns this. There is mention of intermarriage with non-believers (and extramarital relations), both of these should have been condemned anyway (no unequally yoked condemns intermarriage, most of the Bible condemns extra-marital relations). The only two issues which can even be questionable are "Jews who convert may not become Jews again," (a normative law), and "Jews are not to hold public office" (another normative rule). While we might not like these types of rules today, they do make a certain degree of sense. To the final question, I simply say that the answer is simple. Catholic Tradition, while intricate, very often is not binding. Only binding traditions can be held to the standard of infallibility and those can be found (almost exclusively) in the Councils and the (two) infallible statements of the Holy See. Not the answer you're looking for? 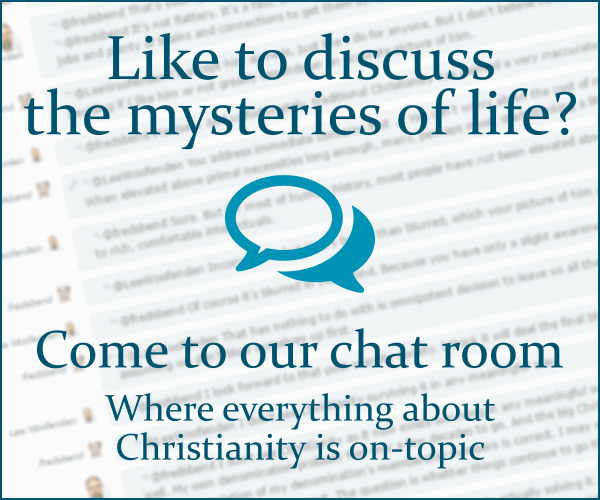 Browse other questions tagged catholicism history tradition or ask your own question.